The Newtown Chamber Orchestra is proud to be among the excellent arts organizations contributing to the rich cultural tradition of Bucks County. Founded in 1990 by Russell Hoffmann, Milton Schwartz. M.D. 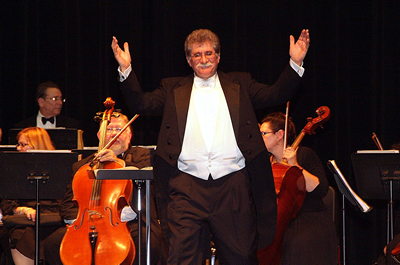 and Craig Smith, the Orchestra offers a selection of classical music repertoire suited to small orchestra. The ensemble of professional musicians is joined by local and internationally known soloists to present works from Baroque to Contemporary. Young Musicians Competition encourages students in grades 9—12 to showcase their talents and love of music by giving the winner the opportunity to perform as soloist with the orchestra. Kids Connect to the Classics is an interactive family concert for young children. Performances have been supported in the past by Kinder Morgan Foundation, American Federation of Musicians Musician Performance Trust Fund (MPTF) as well as a gift from Foster’s Jewelry of Yardley, PA.
To present an intimate and culturally enriching experience of chamber music for audiences of all ages and varying levels of music knowledge. To provide a greater understanding and enjoyment of classical music, traditional and contemporary, and to retain and celebrate our musical heritage. To partner with neighboring school districts to educate and nurture children in the living arts by providing free family classical concerts, in-school performances, and recognition of young musicians in the community. 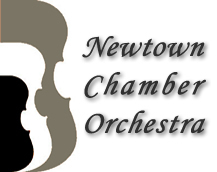 The first performance of the Newtown Chamber Orchestra was September 23, 1990 at George School in Newtown PA. In October of 1992, the Orchestra began performing at the Lutheran Church of God’s Love, whose ambiance, acoustics and size are well suited to chamber orchestral music. As attendance increased, the Orchestra was fortunate to arrange for their concert series to be held at the Bucks County Community College Library Auditorium, a larger venue with theater-style seating and good acoustics that is also accessible to people with disabilities. Upon invitation, Newtown Chamber Orchestra has returned to the Lutheran Church of God’s Love.